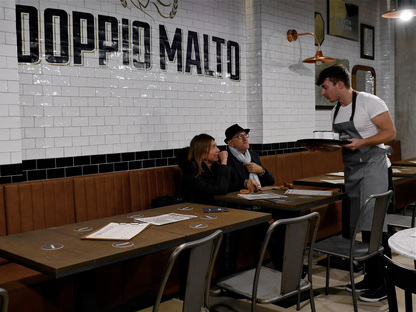 Visual Display, the Italian firm that specialises in brand + interior design came up with the interior design and brand identity concept for “Doppio Malto – Brew Restaurant”, next to the Trevi Fountain in Rome. Visual Display, the Italian firm that specialises in brand + interior design came up with the interior design and brand identity concept for “Doppio Malto – Brew Restaurant”, next to the Trevi Fountain in Rome. 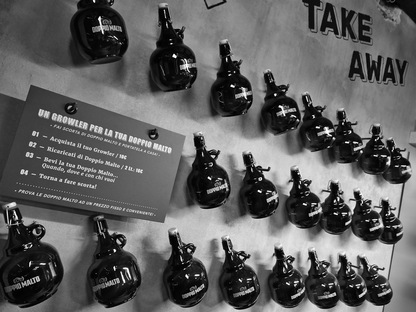 A very appealing location for a new Foodbrand retail format. 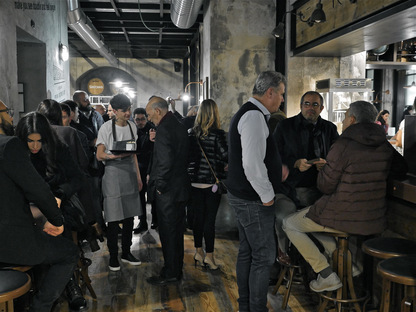 A new venue called “Doppio Malto – Brew Restaurant” opened in Rome a few days ago. 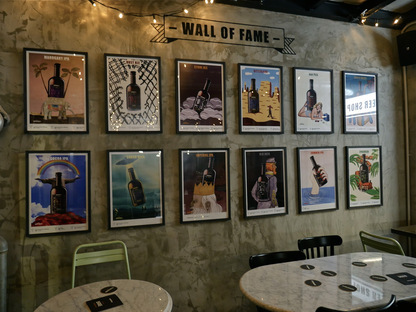 Owned by Foodbrand, an Italian leader in the food service industry that designs new product-based location formats oriented towards integrating the production processes into the actual premises, the theme of this restaurant is clear - double malt beer. 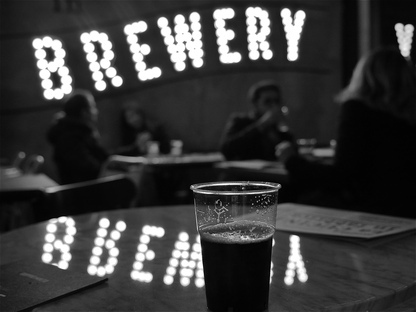 So the creatives from Visual Display responded with a concept inspired by an imaginary industrial brewery because the beer sold here is brewed onsite, where customers can enjoy their beer paired with just the right food since we're talking about a Brew Restaurant. 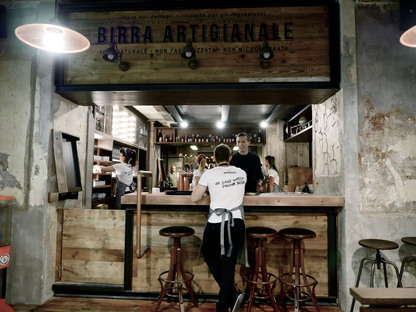 The result is a restaurant with an authentic feel that doesn't seek perfection but rather aims to be a place where you can feel at home, a place that isn't static, that lives and breathes and moves. 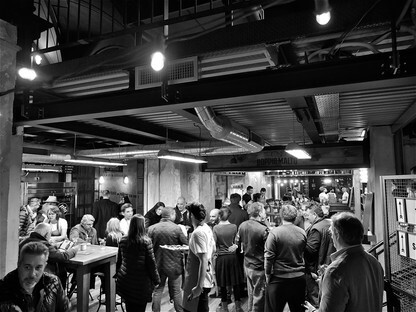 And it's certainly not just another pub in this incredibly central position near the famous Trevi fountain but an experiential ecosystem, where the product storytelling occurs at different levels to engage users. 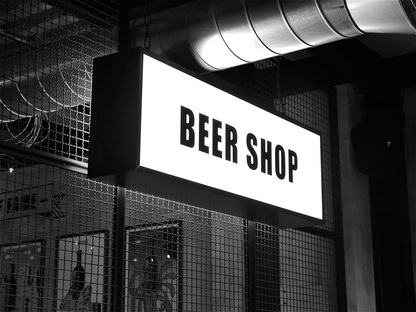 In fact, you don't just get a range of beers and culinary delights here, you get the whole typical entertainment of English pubs, like pool and darts, with indoor and outdoor spaces. 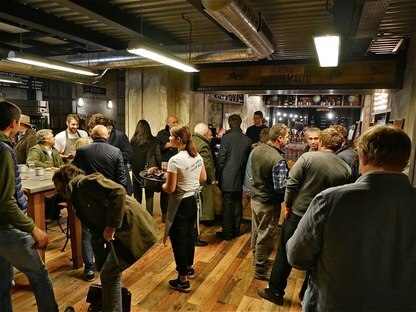 A design choice that makes Doppio Malto an open, inviting venue, great at any time of the day and for any type of public. 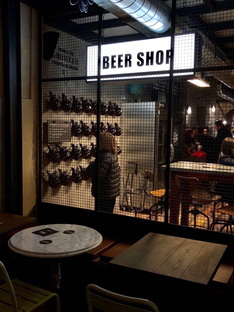 If you're wondering why the glasses in the photos are plastic, never fear - the beer is normally served in real glasses, as tradition - and the Visual Display designers and Foodbrand - would have it. But this wasn't possible at the inauguration because the city Rome bans the use of glass outside venues.